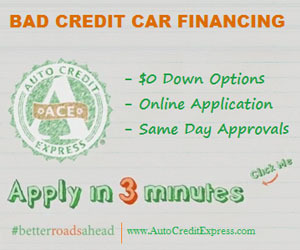 There are what auto lenders call buy here pay here car lots that might be able to clear a path to a used car in Tampa. Or there are car dealerships that offer the no money down route to go for a used car in Tampa Florida. Which isn’t all that bad yes you might have to pay the car off for longer at any given time but you can drive. There is another great option which a lot of car buyers in Tampa are going for and that’s low money down car payments or what we like to call at Auto Loans FL, $99 down on a used car in Tampa Florida. Yes you might not be able to qualify because nothing is guaranteed with low payment auto loans in Tampa but we have a big dealer network that we can connect you with for the best result. So if you are feeling down because you can’t save big for a down payment now is the time to search and talk to your auto experts in Tampa. A down payment on any car will help reduce the overall monthly payment of the car loan, so that’s something to keep in mind and see if you can do. Even $100 is a good start for a down payment if you have it. You want the loan for around 5-6 years if you do a no down payment arrangement with the car dealer. But having a down payment might lessen your car loan a year or two depending on the amount you have. But remember go with the amount you can afford on a used car, you can always upgrade. You do want the lowest rate loan in Tampa Florida and that’s what we are going to work to make happen.